Top Five Integrated Fridges Of 2019 - Which? A quality fridge that can be concealed behind a unit is perfect for anyone wanting to keep their kitchen looking sleek. While the best integrated models will chill quickly and run efficiently, some of the worst fridges will cost a fortune and struggle to maintain a stable temperature. You can’t check how well a fridge chills in a shop. Fortunately, our meticulous testing has revealed a selection of top scoring models that we are happy to recommend. Whether you’re in the market for a fridge that's tall, small or somewhere in between, you can be confident we’ve found an option to suit. Keep reading to find out what our tests discovered about some well-known brands' models, plus more about what to keep in mind when choosing the perfect product for your needs, including our safety concerns. Alternatively, you can head straight to our fridge reviews. Which? members can log in to view our recommendations below. Not a member? Sign up to Which? and get full access to these results and all our reviews. This tall built-in fridge may look pricey, but it's not that expensive for an integrated model and you do get some extra features for your money. The thermostat is accurate and it chills really quickly too. Plus, it’s cheap to run for its size. We definitely think this fridge is worth the price. This is a great fridge for your food: its reliable thermostat makes it easy to set up and it's ultra-fast at cooling, helping to keep food fresher for longer. It's also cheap to run for its size and is packed with handy extra features. It might be expensive, but there's no denying that this fridge excels at the essential task of chilling your food: it cools quickly and keeps evenly cool in changing room temperatures. The large model has some really useful storage features, and it’s really easy to clean if you have a spillage. 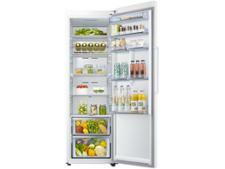 This tall integrated fridge did very well in our tough tests. It has an excellent recommended thermostat setting and manages to keep to a stable temperature. This model also comes with an ice box and plenty of storage, making it perfect for people that like to do a big weekly shop. If you’re looking for a small model, this is the fridge for you. It’s fantastic at cooling food quickly and even better at keeping it chilled in fluctuating room temperatures. It might be a little pricey to run for its size, but we still think it’s worth it. As your fridge is probably the most used appliance in your home, running all the time, it’s wise to think about the model you need and why. Our tests have uncovered fridges that will increase the cost of your energy bills each month without even cooling effectively. Read on for the fridges to avoid – don’t risk ending up with a dud product. Some integrated fridges have raised concerns about safety. See more on the models we wouldn't recommend below. Your food probably won’t last as long as you’d expect in this integrated fridge because it takes more than 18 hours to reach its coldest temperature – that’s eight hours slower than the quicker models! But regardless of how it performed in our other tests, we have concerns about safety due to the backing of this fridge being made of plastic. This means we cannot recommend it. 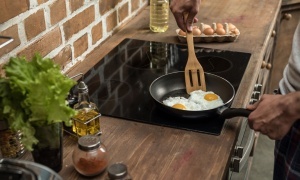 The manufacturer of this appliance is in the process of upgrading it to have flame-retardant backing and our Don't Buy recommendation relates to the flammable plastic-backed version of this product. It will remain a Don't Buy until this version is no longer available to buy in shops. Read more on fridge backings below. Although this fridge is energy efficient, it doesn’t have much usable storage and struggles to stay cool when the outside temperature rises. But regardless of how it performed in our other tests, we have concerns about safety due to the backing of this fridge being made of plastic. This means we cannot recommend it. The manufacturer of this appliance is in the process of upgrading it to have flame-retardant backing and our Don't Buy recommendation relates to the flammable plastic-backed version of this product. It will remain a Don't Buy until this version is no longer available to buy in shops. Read more on fridge backings below. This small integrated fridge comes with a handy freezer compartment but it’s expensive to run for its size and takes too long to chill. But regardless of how it performed in our other tests, we have concerns about safety due to the backing of this fridge being made of plastic. This means we cannot recommend it. The manufacturer of this appliance is in the process of upgrading it to have flame-retardant backing and our Don't Buy recommendation relates to the flammable plastic-backed version of this product. It will remain a Don't Buy until this version is no longer available to buy in shops. Read more on fridge backings below. Which are the best fridge brands? We reveal whether big names, such as Beko, Bosch and Samsung, are worth buying. Every model we score goes through the same stringent tests. That way we can offer you the most in-depth, informed and balanced reviews. During testing we check how quickly the fridge chills using gel packs to simulate food. Some of the best models cool within hours, while the worst don’t even make it to the desired temperature, let alone keep it stable. How easy the fridge is to use and clean is also taken into account. 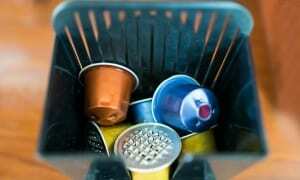 No one wants to spend hours trying to remove grime or food from hard-to-reach dirt traps. And by measuring the storage spaces with all the features in place, we can give you a realistic idea of how many groceries you could squeeze in. Still not sure what type of fridge you need? Then follow our expert guide to pick the best fridge for your kitchen and budget. We constantly monitor and vary the assessments that underpin our reviews, to take account of changing standards and areas of concern. In September 2017, we called on manufacturers to immediately stop producing refrigeration appliances with non-flame-retardant plastic backing. Since then, and in the apparent absence of any action from the newly created Office for Product Safety and Standards (OPSS), we’ve been conducting fire testing on refrigerator backings. So far, we’ve tested backing samples from more than 80 different refrigeration appliances, across every refrigeration brand that we have cover. We applied an open flame to each sample, and any product that was unable to withstand the flame for 30 seconds, which would leave the flammable insulation exposed, has been deemed unsafe and has been made a Don’t Buy. Hundreds more products have also been made Don’t Buys because the manufacturer either confirmed, or our own research indicated, that the backing on these products was identical to a product we tested and found to be unsafe. If you own a flammable plastic-backed fridge, freezer or fridge freezer, please be reassured that refrigerator fires are very rare. We analysed government fire data in March 2018 and found that only 8% of fires caused by faulty household appliances were caused by fridge freezers, fridges or freezers. It’s also worth bearing in mind that while the backing material can cause an existing fire to spread, it isn’t the cause of fire itself. You first need to determine whether you need a tall or small under-counter model. 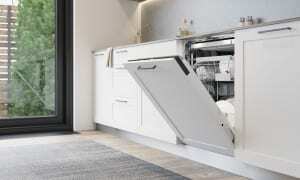 This could depend on the layout of your kitchen or the amount of available space you have. 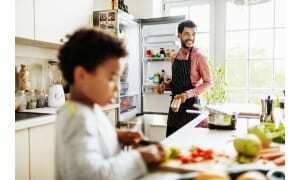 If space isn’t an issue, then base your decision on how much fresh food your household uses. 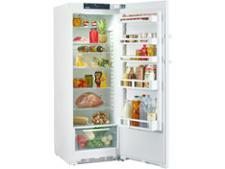 Tall integrated fridges typically have a generous amount of usable storage. Integrated models tend to be a pricey investment, sometimes costing hundreds of pounds more than freestanding fridges. Look at all our reviews to find out what you can get for your budget. 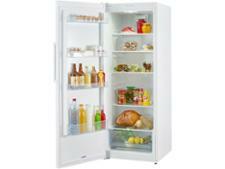 And if integration isn’t a necessity, you should check out our freestanding fridge reviews instead. If you’re happy to pay a little extra, features such as quick-chill functions and bottle racks can be added to most models. For those who buy lots of fresh food, a humidity control can help to lock in moisture and keep your fruit and veg fresher for longer. But if you’re sticking to a strict budget, then some things can come included, such as salad drawers and adjustable shelving. If you don’t have a separate freezer, an integrated ice box can be a great addition too. Need more freezer space than just an ice box? We also review standalone freezer models. Find out the products we made a Best Buy in our in-depth freezer reviews.